As to be expected with any “new” and “breakthrough” technology, headlines abound on the promise and enormous potential of this “disruptive” innovation called blockchain. Outside of healthcare, the accolades are breezy, often breathless – if not breathtaking. A great example is this quote from Alex Tapscott. We’re seeing a big problem where the world economy is growing unabated, but fewer and fewer people are benefiting, and we think blockchain could hold solutions to that. If allowed to flourish, this technology has the potential to benefit consumers and enterprise on the scale [of] other transformative inventions like railroads, automobiles, telephones, computers, and the Internet itself. The promise behind the blockchain is clear, and its future relies on the collaboration between government agencies, lawmakers and industry leaders. That “if allowed to flourish” is a little ominous and I’m always a little suspect of “futures” that rely “on the collaboration between government agencies, lawmakers, and industry leaders,” but we get the gist. Just over two years ago, Marc Andreessen concluded a 3,000 word opus – Why Bitcoin Matters – with this grand vision. Given this level of general hype, it was only a matter of time before healthcare saw blockchain as a solution for many of its problems too. Here are just a few of the recent prescriptions I’ve seen for this new technology elixir. Not surprisingly, the hype has also started to creep into the healthcare conference circuit. The first example I’m aware of was the Exponential Medicine conference in San Diego last November, but I’m sure there have been others and there will undoubtedly be more. Looking at all this hype, this blockchain is mighty powerful – able to leap tall buildings – solve world inequality stuff. There just has to be a fit in healthcare, right? That’s really it. It’s a distributed database with some very powerful and innovative features. These innovative features are combined in a way to make a blockchain – any blockchain – comparable to a transaction ledger. Not surprisingly, that’s exactly how it acts. It’s a trustworthy distributed ledger. This is critical because the hype is largely based on these innovative features – and this also goes a long way in understanding how blockchain instantly arrived at its first/best use case – the cryptocurrency called Bitcoin (summarized by its mysterious founder Satoshi Nakamoto’s in his 2008 whitepaper: Bitcoin: A Peer-to-Peer Electronic Cash System). But much of the initial hype surrounding Bitcoin is officially ancient history. Earlier this year, a lead Bitcoin developer named Mike Hearn announced Bitcoin itself is a failure. From the start, I’ve always said the same thing: Bitcoin is an experiment and like all experiments, it can fail. So don’t invest what you can’t afford to lose. I’ve said this in interviews, on stage at conferences, and over email. So have other well known developers like Gavin Andresen and Jeff Garzik. But despite knowing that Bitcoin could fail all along, the now inescapable conclusion that it has failed still saddens me greatly. The fundamentals are broken and whatever happens to the price in the short term, the long term trend should probably be downwards. I will no longer be taking part in Bitcoin development and have sold all my coins. We’ll get to the why of the failure in a minute because it’s also a harbinger of things to come, but for now, let’s review the blockchain technology and why it was perfectly suited for use as a cryptocurrency. These features, stitched together in software, can create a unique “blockchain” that solves a very big, nasty problem for any and all digital currencies. The software engineering challenge is known as double spending. Double-spending is a failure mode of digital cash schemes, when it is possible to spend a single digital token twice. Since, unlike physical token money such as coins, electronic files can be duplicated, and hence the act of spending a digital coin does not remove its data from the ownership of the original holder, some other means are needed to prevent double-spending. This problem of double-spending really only exists in the world of cryptocurrencies and creating a unique “blockchain” that solves this problem is what led to the creation of Bitcoin. If that sounds circular – it is. The two are forever linked because the “double spending” problem only exists in digital currencies and the Bitcoin blockchain does solve this – elegantly. Even if Bitcoin itself is a complete failure, the Bitcoin blockchain is proof positive that the double-spending problem in the digital realm has been solved. Like Bitcoin, the Ethereum system is built on a blockchain in which every transaction is recorded publicly. The promise of such a system is that it allows the exchange of money and assets more quickly and more cheaply than relying on a long chain of middlemen. The reference to Bitcoin certainly helps to frame the solution, but then there’s even more complexity. The system is complicated enough that even people who know it well have trouble describing it in plain English. The article concluded with this assessment by Joseph Bonneau – a cryptocurrency researcher at Stanford University. Bitcoin is still probably the safest bet, but Ethereum is certainly No. 2, and some folks will say it is more likely to be around in 10 years, It will depend if any real markets develop around it. If there is some actual application. Just like Bitcoin, Ethereum is basically a cryptocurrency blockchain in search of other problems. Bitcoin and Ethereum are both non-trivial technical solutions, but what about building blockchain’s for purposes other than cryptocurrencies? Sure – but then we really have to look for similar business problems around “double spending” and that becomes the larger challenge. The point is simply this. We don’t need a unique cryptocurrency in healthcare. Absent that need, there are other robust and mature technology tools that can easily (and elegantly) solve many of our existing problems that are often key features of the hype around “blockchain” (distributed, trusted, ledger, secure, etc…). In fact, this is also true for problems outside of healthcare as well. A blockchain can certainly be used for many things, but is the resulting solution only available using a blockchain? Hardly. But there’s also a larger, more general risk of blockchain that Mike Hearn referenced explicitly – and it goes to the heart of why Bitcoin failed. [Bitcoin] failed because the community has failed. What was meant to be a new, decentralized form of money that lacked “systemically important institutions” and “too big to fail” has become something even worse: a system completely controlled by just a handful of people. Worse still, the network is on the brink of technical collapse. The mechanisms that should have prevented this outcome have broken down, and as a result there’s no longer much reason to think Bitcoin can actually be better than the existing financial system. Mike’s credentials as a lead Bitcoin developer are beyond reproach and include more than 7 years (2006 – 2014) as a Senior Software Engineer at Google. He also worked closely with Bitcoin chief scientist Gavin Andresen (thought to be the successor influencer of Bitcoin’s development after the mysterious founder Satoshi Nakamoto). Mike’s assessment is also mirrored in other publications as well. This one from Bloomberg Gadfly just last week goes to the heart of the larger dilemma – evident not just in financial services (where “blockchain” is – or at least should be – a perfect fit), but healthcare as well. The question isn’t whether a blockchain can be used in any industry (including healthcare) but what’s the use case that a blockchain can solve exclusively? 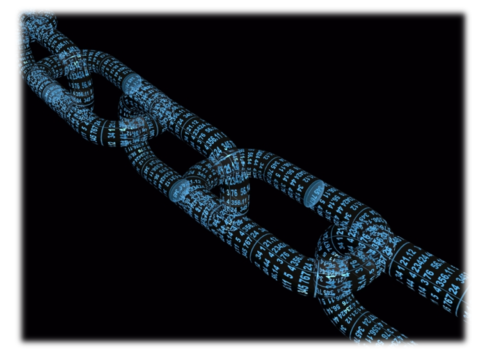 As a new technology consideration for healthcare, blockchain fails on two major fronts. Healthcare has no “double spending” problem – and the larger question is – are there any industries outside of cryptocurrencies that do? Beyond any of these technical challenges, however, looms the ever-present – and much larger business conflict. That conflict – mirrored so clearly by data interoperability – is using any technology that requires voluntary industry consensus and agreement among competitors to eliminate revenue and profits. On what healthcare (or financial) planet is this likely to happen without a government incentive (or mandate)? Certainly none that I’m aware of – especially for heavily regulated industries like healthcare. The Bitcoin blockchain works technically and elegantly, but even the best use case to date – Bitcoin – is a global and resounding failure. Not because of the technology – a brilliant software engineering feat – but because of larger issues around voluntary industry consensus among competitors for the reduction of revenue and profits. The even larger challenge in healthcare IT isn’t technology – we’re swimming in it. Adding a new buzzword to the IT word salad won’t save us. The fact that we don’t use existing technologies – that are robust, mature and low-cost – to solve some of the enormous challenges that we do have is tantamount to criminal negligence and won’t be solved with the breathless hype of any blockchain. Interoperability is a prime example – and has the exact same challenge that felled Bitcoin – voluntary industry consensus among competitors that result in lost revenue – and that’s before you get to any technical discussion. As we have known for centuries, government mandates for national standards actually do work – even if they’re pedestrian and completely devoid of hype – and they continue to work long after we’ve come to take them entirely for granted. A great example is one of the most basic of all called fiat currency and I’ll bet there’s some of it in your possession right now. Healthcare IT needs more stuff that just works – not the glitter of more technology complexity that can’t be described – even by the people who know it. If there’s a banner definition of technology hype, that’s the best one I’ve seen.